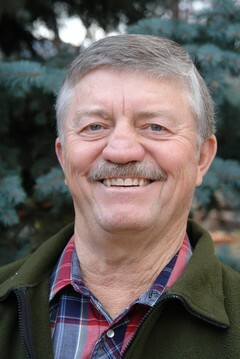 ARTHUR L. “Buzz” MUELLER, 73, of Livingston, Montana passed away on Tuesday, July 1, 2014 at his home with loved ones at his side. Cremation has taken place and a memorial funeral service will be held, Saturday, July 12, 2:00 P.M., at Grace United Methodist Church (302 S 9th St) with the Reverend Frederick Amborn III serving as the Celebrant. A social hour will follow the service at the church. A family committal service and interment will be at Mountainview Cemetery in Big Timber at a later date. If so desired, a donation to defend 2nd amendment rights may be made in Buzz’s honor to the National Rifle Association: NRA—ILA, Attn: Matt Wade, 11250 Waples Mill Rd; Fairfax, VA 22030. Arthur Lindsay “Buzz” Mueller was born in Livingston, Montana, on April 4, 1941, to Charles G. Mueller and Elaine Baskett Mueller. His parents lived in Los Angeles, California. His mother (the daughter of Dr. Lindsay Baskett of Big Timber) came home to have her first-born child. Buzz was proud to be a native-born Montanan. When he was four, his father went to work for the State Department in the Foreign Service. Buzz attended first grade in Big Timber while living with his grandparents. Much of the remainder of his education was acquired overseas. The family was stationed in Bogota, Colombia, Panama City, Panama, Tegucigalpa, Honduras, Hong Kong, and Manila in the Philippines during Buzz's growing years. At the age of 15, Buzz was enrolled in Kemper Military Academy in Boonville, Missouri, where he completed his last two years of high school and his first year of college. He attended several other colleges (Clark University, West Point Military Academy) until he finally graduated from Montana State College in Bozeman. Buzz felt that his childhood overseas was a wonderful educational experience. At Montana State College, Buzz met Sandra Vick. They were married in Great Falls and together lived in Seattle, Washington, where Buzz worked as a siding contractor; Knoxville, Tennessee, where Buzz was a chemist and labor foreman for Ideal Cement Company; and Waterville, Minnesota, and Boulder, Colorado, when Buzz worked for Browning Arms Company. Buzz excelled as a sales representative for the company. Sons Doug, Paul, and Kyle were born in Faribault, Minnesota. In 1977 they moved to Livingston and purchased the Branding Iron Western Clothing Store, to which Buzz added a gun shop. Economic factors in 1979 led to his bankruptcy in 1981. The marriage to Sandra ended in 1979. Buzz married Virginia Gorton in 1985 in Livingston, and in 1986 they moved to Helena where Buzz worked for Capital Ford in car sales. In 1989, Buzz joined Virginia in private contract land surveying. Together, they surveyed airports, highways, municipal projects, extensive Forest Service surveys, and numerous other projects, both public and private. In 2009, they returned to Livingston to be close to family. Shortly after, Buzz's battle with cancer began. Buzz put up a strong fight, won a couple of battles, but lost the war. Buzz's life long passion was for guns. Over the years, many people consulted him for his encyclopedic knowledge of guns. He collected some guns and admired many others. He loved shooting, hunting, and fishing. Buzz made friends easily and enjoyed them all so much. He is survived by his wife, Virginia, his sons, Douglas Mueller, Paul Mueller, and Kyle Mueller, his step-sons, Michael Gorton and David Gorton, their wives and children, his sister, Christine Mueller Tudor, his brother, Nick Mueller, his uncle, Dr. Mac Baskett, and his cousins, Susan Lovely, Rick Baskett, and Jim Baskett. Nieces, nephews other relatives and many friends. Arrangements are under the direction of Franzen-Davis Funeral Home and Crematory.